OYO had raised $800 million in a round led by SoftBank Vision Fund, along with an additional commitment of $200 million, at a valuation of around $5 billion. Japan's SoftBank Group Corp reported a 78% jump in its second-quarter profit to $6.2 billion yesterday, and a big chunk of that came from its technology investment vehicle, which has made big gains in India. "SoftBank Vision Fund [SVF] recorded realised gain of 146.7 billion yen on the sale of Flipkart shares and valuation gain of 503.8 billion yen due to an increase in the fair values of NVIDIA, OYO, and other investments," the company stated in its Consolidated Financial Report for the six-month period ended September 30, 2018. In fact, SVF, which aims to conduct large-scale, long-term investment in businesses that have the potential to bring about next-generation innovation, had reportedly contributed about $3.47 billion to the Japanese conglomerate's Q2 profits. Its investments totalling $28.1 billion (till end-September) amounted to fair value of $35.8 billion, the company added. 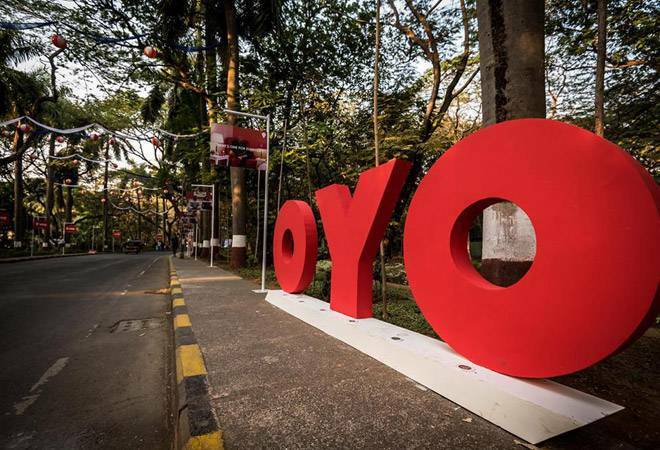 According to The Economic Times, the value of SoftBank's investment in OYO has now doubled. It had first ploughed in $100 million in the Ritesh Agarwal-founded hospitality company in 2015 but the stake was transferred to SVF in the quarter under review for $200 million. Just last month, OYO had raised $800 million in a round led by SVF, along with an additional commitment of $200 million, at a valuation of around $5 billion. This was a massive jump from its valuation of about $850 million in September 2017 when it had raised about $260 million from SoftBank and other investors. Post the latest fundraise, OYO has not only expanded its international footprint to UAE and Indonesia - after China, Malaysia, Nepal and the UK - but has also started a new business, OYO Living, focussed on the home rental segment. Agarwal, incidentally, was the youngest self-made entrepreneur on the recently-released Barclays Hurun India Rich List for 2018. Then there's SoftBank's windfall from its recent Flipkart exit. In May, SoftBank sold its entire 21% stake in the homegrown ecommerce company to Walmart after much dithering. In a previous press conference, SoftBank CEO Masayoshi Son had commented that the conglomerate's $2.5 billion stake picked up in August 2017 was already worth $4 billion. So the tax implications had prompted the indecisiveness over the exit. On Monday, SoftBank disclosed that it had paid 64,892 million yen for the realised gain of about $1.3 billion in Flipkart. "The sale of Flipkart shares occurred within 24 months of making the investment, and therefore was taxed at 43.68%, the Indian short-term capital gains tax rate," the company said. Apart from OYO, SVF acquired the SoftBank's investments in South Korean e-commerce major Coupang in Q2. However, the holding company's investments in Ola, Uber, Xiaoju Kuaizhi Inc. ("DiDi") and Grab Holdings Inc are yet to be transferred to SVF. "The company expects that the necessary procedures will be made in the future to obtain applicable consent from limited partners of the fund and regulatory approvals for the transfer," said the company. As of September 30, SVF and its sister, Delta Fund, had total committed capital of $91.7 billion and $6 billion, respectively. Together they recorded operating income of 632.43 billion yen in the July-September quarter, against 186.23 billion yen in the same period of the previous fiscal. SoftBank's other India bets include Paytm parent One97 Communications Limited and PolicyBazaar (ETechAces Marketing & Consulting), as well as bad calls like Snapdeal and Housing.com. The buzz is that it is in talks to enter the food delivery space through Swiggy and is also in talks to invest in logistics company Delhivery and baby products retailer FirstCry. "The Vision Fund is showing profits worthy of SoftBank 2.0," SoftBank CEO Masayoshi Son said at a briefing in Tokyo. "Next year, I believe we will not only exceed these results, but may even deliver an operating profit on the level that Japan has never experienced before." Did former CEA Arvind Subramanian foresee Centre-RBI tussle in 2016-17 economic survey?